On my first rainy day in Riga, Latvia I tried to focus on capturing building details. 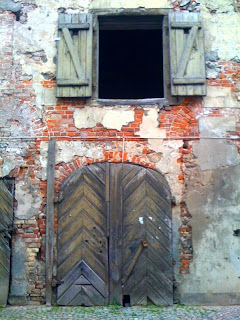 The above image was taken on a backstreet in a dilapidated area of Old Town. The exposed brick and off center wood window struck me as interesting. Would I Stay at Dorm.No Again? NO!